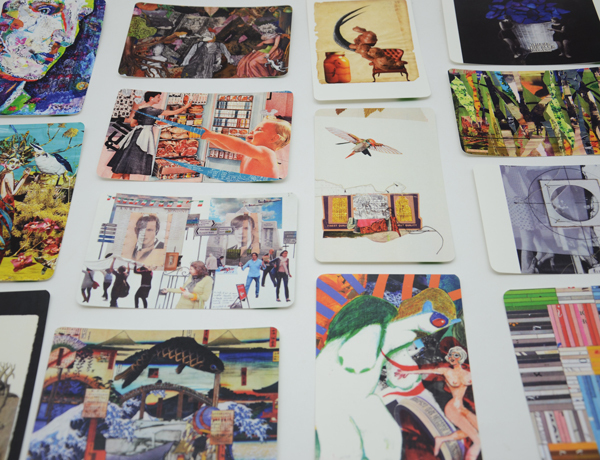 Collage Artist Trading Cards…collect packs and curate your very own exhibition. Maison Kasini, publishers of Kolaj, announces the launch of Collage Artist Trading Cards, Pack Two. 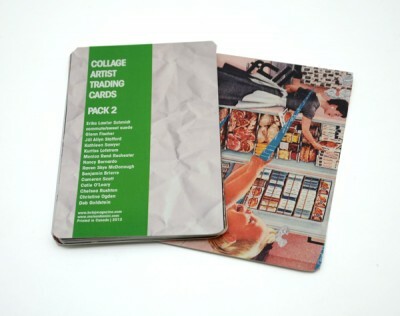 Collage Artist Trading Card packs are a tool for discovering contemporary, fine art collage. Each card is a full colour, 5.5” x 3.5” postcard with rounded corners. An example of an artist’s work is on the front of the card and the artist’s public contact information is on the back. Collage Artist Trading Cards come in packs of 15. Collage Artist Trading Cards are a great way to be introduced to the artwork of collage artists.